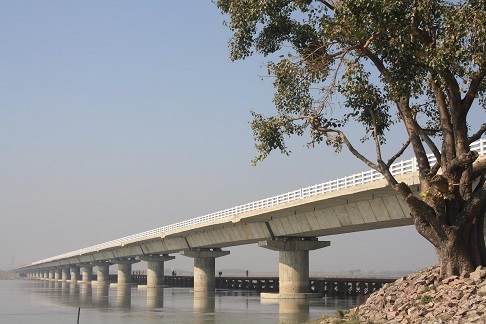 3.80 Km Long High Level Bridges across river Koshi in Distt. Saharsa, Bihar. | SP Singla Constructions Pvt. Ltd. Title : 3.80 Km Long High Level Bridges consisting of 2.05 Km long High Level Bridge over river Koshi in Distt. Saharsa, Bihar. Associated Client : Bihar Rajya Pul Nirman Nigam, Patna, Bihar. Superstructure : PSC segment box girders of 50m length.